Like all the men in his tribe, Laranha was named for his father, Utash gro-Khazib, and it was expected that he would one day follow in his father's footsteps as well. Whilst his younger sister Lagakh was groomed for matrimony, Laranha was getting a complete martial education courtesy of his father and older brothers - with all the bruises that entailed. Despite this, Laranha had charm and competence in spades. More than that, he was dependable; even-tempered where his brothers were impulsive and hot-headed, and loyal to a fault. Nobody expected him to help Lagakh flee the stronghold, breaking a long-standing nupital agreement and rendering their family defenseless against neighbouring warlords. 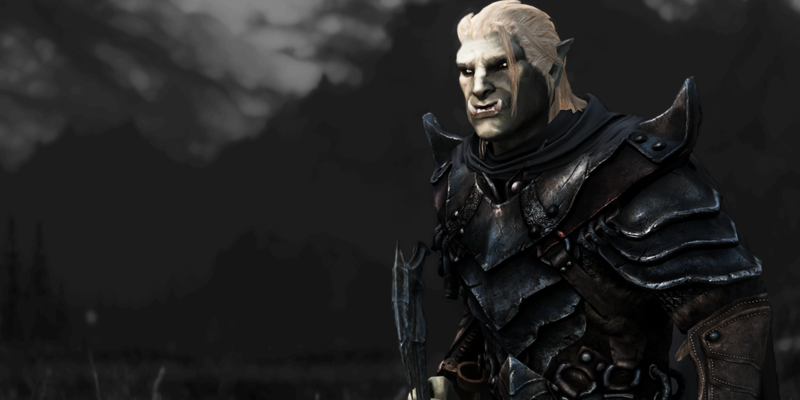 Utash deemed Laranha zugra crun, a "cursed outsider", and banished him from the stronghold. Laranha could only watch as his clan was torn apart, knowing that he was the cause of their deaths. In the years that followed, Laranha worked as a mercenary out of southern Tamriel. 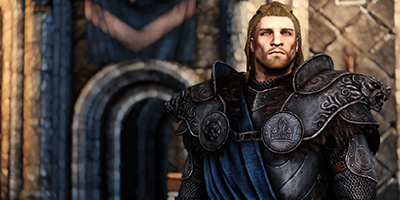 He spent the majority of his time on Elsewyr's many sugar plantations, although he also had the dubious distinction of fighting on both sides of Summerset's seige of Valenwood, having been contracted by both the Dominion and the Bosmer rebels at different points in the conflict. It was actually his association with the Dominion which drew Laranha north to Skyrim, where he hoped to find work assisting in the civil war effort. Instead, he reconnected with his sister - now revealed as the legendary dovahkiin - and took on an independent contract to rout the Forsworn from the Markath and the surrounding area. 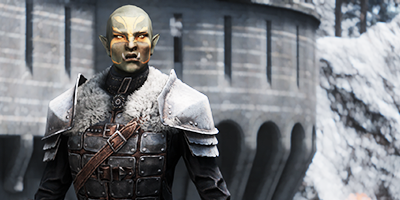 More recently, Laranha's association with Lagakh has brought him to the Thalmor's attention - with devastating results. Just like his sister, Laranha still carries the pervasive guilt of his family's murder, which he allowed to happen, if not caused outright. Where Lagakh is naturally cold and remote, however, Laranha uses solitude almost as a form of self-flagellation. Unfortunately for him, his calm and respectful demeanour tends to put people at ease, and Laranha has gone without affection for so long that he craves it above all things. Consequently, Laranha allows himself only the briefest moments of human contact before he inevitably moves on to the next town. It's a lonely existence - and, in Laranha's mind, it's nothing less than he deserves. Laranha's path rarely crosses with his sister's, and never for more than a few days at a time. Despite this, she remains one of the things in his life he's proudest and most protective of. Following Laranha's torture at the hands of the Thalmor, Ulfric offered him sanctuary in Windhelm. Much as he probably should, Laranha can't bring himself to rebuff the Jarl's "kindness".